Today Dorota and I went to visit the Chinese Garden of Friendship at Darling Harbour, Sydney. It’s set in the hustling centre of the CBD, yet is very quiet and all you can here is running water from the numerous waterfalls. We visited the Garden in true Ming Dynasty style and hired Chinese costume. I was dressed as a warrior and Dorota as a Queen. It’s remarkable that such an amazing place is less than a ten minute walk away and we haven’t been there within the 7 months we have lived next to it. The Gardens are full of large birds, koi carp and large lizards, it was a great day out and no doubt we will be back! 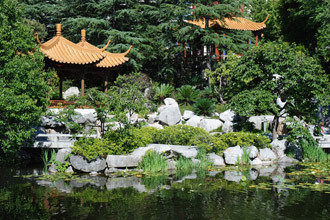 The Chinese Garden of Friendship’s design was inspired by a traditional Chinese art form dating back to the fifth century. 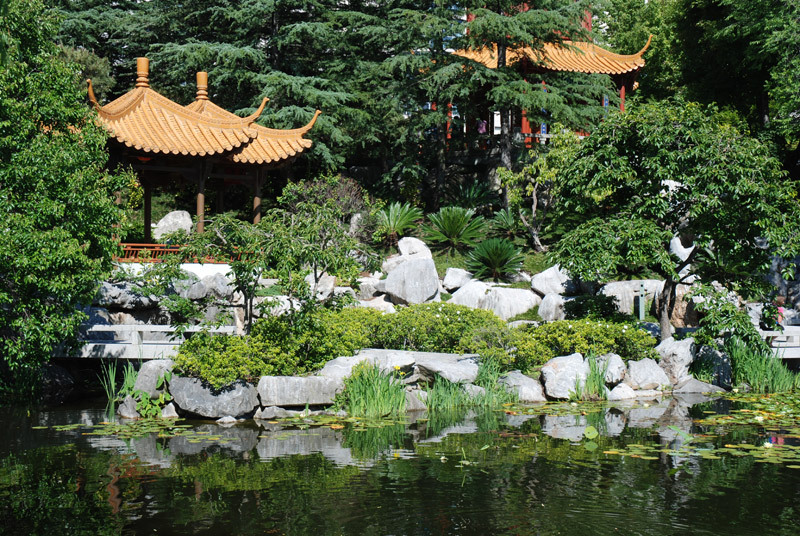 It is the only authentic southern-style Chinese garden of its size outside of mainland China. The Garden of Friendship is a Chinese garden proposed by the Chinese community in Sydney to celebrate the Bicentenary of Australia. The New South Wales Government accepted this proposal and funded its construction. The Guangdong Provincial Government of the People’s Republic of China, holding in high esteem the friendship between Australia and China strongly endorsed the project and actively participated in it. The Guangzhou Bureau of Parks and Gardens designed and supervised the project and worked in co-operation with the New South Wales Darling Harbour Authority to bring the Garden into being. The Garden is situated in Darling Harbour. Set alongside the reflection of sails and gull-crested waves of water rippling out into the distance, the Garden captures the mood of a forest refuge in the bustling city. The techniques employed are intricately manifested over the whole area of the Garden, revealing numerous variations within its confined space. The Twin Pavilion with its linked roof symbolises the friendship between Australia and China, the Tall Triple-eaved Pavilion reaching up towards the clouds provides an excellent site for listening to the sound of moving water while resting against the railing. The Double-Sided and Through-carved Dragon Wall depicts two dragons frolicking in the water, racing to fetch the pearl. Rocks nestled amid bamboos and huts among the hills await the music of lutes to invite in the phoenix. The poetry couplets executed in fine calligraphy are infused with brilliance; their superb composition enhances the vibrant colours of the Garden. The rivulets and the lights; the trees, rocks, birds and flowers, the setting for viewing platforms by ponds, the shelter of covered walkways and pavilions are all the creations of craftsmen who have extracted the essence of their inherent beauty. On a fine day when the sun is shining, on a walk through the Garden enjoying the visual delights will leave one amazed at the boundless panoramas. A fondness for it lingers and thought of leaving are forgotten. Here in this Garden generates the warmth of a friendship which will endure for a thousand springtimes. One of the benefits of living in an Internet-enabled world is being able to share and experience the music of other cultures. The world of Turkish music is alive and well on the Internet, and with the right tools, you’ll be well on your way to having a colossal collection of vital sounds.